To her first point, my friend is dead on. Under the existing yet flawed fee for service provider reimbursement model that has dominated medicine for the last couple of decades, providers have had little financial incentive to engage in a dialogue with a patient outside of an office visit. This isn’t bad ethics as much as it’s prudent business – why consult with a patient over the phone or electronically when you can do the same thing in person and get paid for your time? Despite the obvious benefits of remaining in contact with your patients, sometimes the realities of running a business and paying your overhead expenses come before offering the best care possible. So what about my friend’s second point? Well, she’s right there, too. In the heavily politicized Affordable Care Act (i.e., “Obamacare”), most of the focus has been centered on the controversial points: the individual mandate, the Medicaid expansion, etc. However, almost lost in the heated discussion is the law’s adoption of accountable care organizations (ACO), which have so far been wildly popular with providers across the country. Unlike an organization that utilizes a fee for service model, an ACO is reimbursed under a shared savings model if they are able to keep their patients healthy. It’s an elegant yet simple concept: instead of paying a healthcare provider each time a patient gets sick and seeks medical care, pay the provider more when he/she is able to keep the patient from returning to the ER. All of a sudden, the cost-benefit analysis of communicating with a patient outside of the doctor’s office has changed. Now hold on a minute, a medical payment historian may object, isn’t this the same thing as the failed capitation models of the nineties? Do we really want to go through the whole HMO disaster again? Well, it’s difficult to ignore the similarities between the two. However, the most striking difference between these two periods is the role that healthcare technology can now assume. Email, text messaging, and electronic health records were all either not in existence or in a very primitive state twenty years ago. Instead of dealing with the inherent technological frictions of care coordination, managed care organizations focused on cutting costs to almost diabolical levels, limiting access to providers and care in general. Technology has changed this. Instead of blocking access to specialists to save costs, care managers have new tools at their disposal. For instance, providers can communicate directly with patients via secure text messaging or email and then share this information electronically with other providers. Mobile apps that record biometric information straight from patients can send the information directly to a primary care physician for automated analysis, notifying the provider when a serious condition arises. 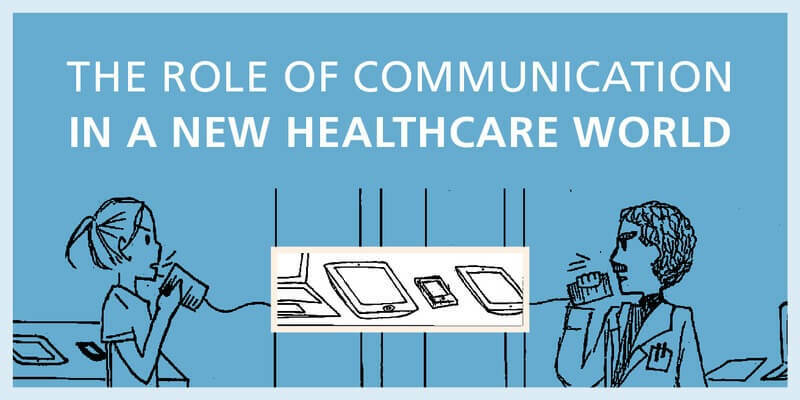 The point is that increased communication access – be it verbal or the automated information type – can drastically affect the delivery of effective healthcare. In a world where effective healthcare is rewarded financially, both the providers and the patients are better off. Both parties win when the patient is kept healthy. A good real world example of improving healthcare through the coordination of accountable care and technology is going on right now at New Jersey’s Atlantic Health System, one of the American Hospital Association’s “Most Wired” organizations over the last four years. By integrating Healthcare IT into the practice of care both inside and outside the health system’s walls, Atlantic Health has been able to improve patient engagement and health outcomes. In addition to an internal HIE, Atlantic also gives patients connectivity tools to check their lab results electronically, request appointments, and refill prescriptions remotely. The health system also allows patients to directly contact providers with various health questions. Because Atlantic’s bottom line is directly tied to improved patient care rather than decreased utilization of health services, the providers’ and patients’ incentives are aligned. Atlantic’s sophisticated use of health IT serves as the lubricant to keep operations running smoothly. So what does this all mean on a practical level? Better care, less wasteful care, and better patient outcomes. With the aid of technology, this might not be such a pipe dream after all.